We can choose to be happy, or we can choose, well, not to be. Whichever way we choose; it is all about what we want to tell our mind to believe. A little cliche; true, but it is not far away from the truth. Many of us want to believe that we want to be happy, that we would choose to be happy if we can, and then bam, things happen, and we are thrown into that black hole which just seem to be sucking all that high spirits and our spiraling mood into it and then all of a sudden, we are back to square one. It is easy to say we are happy, because we have everything we need in life and we will never understand the people who have had it hard in their lives. We will never understand how it's really like when we have only a few dollars, or not even a dime to spare, and had no idea how to survive the week with that limited cash or wondering where we will be sleeping the next night, and we can't say we do out of empathy for the people we see living lives like that. These are the true stories of reality, and there is no way on earth we can ever say we understand. However, it is not true that one should choose to brood over the harsh way life is treating them. While not everyone is blessed with good fortunes and great things in life, it does not mean that life deprived them of their choice to be happy. After all, how are we exactly sure that the ones having all that they wanted in life are truly happy and have found their ending point of satisfaction? The truth is, there is never an answer for that. Those who don't have it, will always wish for those things they want to have. Those who have it, will wish for more or wonder why people want what they have when they are not fulfilled by the things they have themselves. It is a never ending vicious circle and is not one for any one of us to say which prevails over the other. The main point I am highlighting here is, happiness is simply not defined by the things around us. It is not about having more things than others; or living less than perfect. It is not about being rich, being smart, or having something others could only long for. It is not about having a stable job or a house, or a car. True, these materials could be the milestones to building your happiness but they don't define it. Simply put, happiness is anything but defined by everything around us. Happiness is defined ONLY by ourselves. We choose to be Happy. We see things in a way that makes us happy. We must see the joy that happiness brings. It is WE who defines happiness; not the other way round, nor by other factors around us. One can choose to be happy when things go wrong, simply because we don't allow things to step into our choice to be Happy. We can have a bad hair day, but we can choose to laugh over it. We can be wearing the wrong shoes to work, but we can smile at the reasons we wore the wrong shoes and start admiring the shoes which we probably haven't worn in a while. We can have a huge argument with someone we love, but we can choose to step back, apologize, hug and just laugh over the silly names we just called each other. We can feel devastated at the loss of an item, a loved one, but smile at the memories which once touched our hearts. We can even pray for that loved one that they are now in a far better place and they are looking down at us. Life is not always going to be perfect, or promising us a smooth road ahead. We can choose to see the perfection in the imperfections, but it is US who can tell our minds to do so. I have seen many who have made these changes in their mindset and have since lived a far more satisfying life. It is not to say there is no complaint but simply, sometimes it is just the way we look at it. 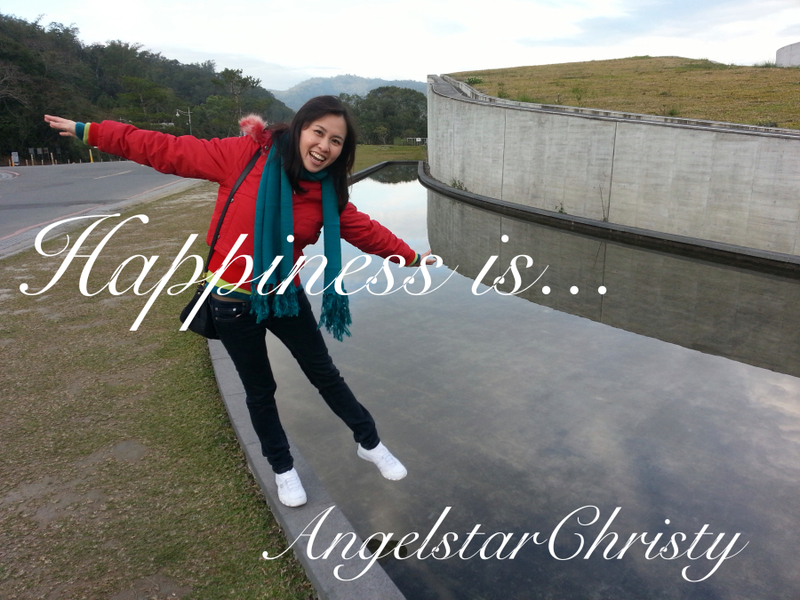 Happiness is indeed, a state of mind. We control that state, we control that mind. We can fill our minds with happy thoughts or just allow the dark clouds to sink in and stay for eternity. We can choose to look at the positive side of things. We can be happy, if we choose to be. Happiness is all about our choices. Happiness is all about that smile we give ourselves. Simply because, we owe ourselves that much to be Happy for ourselves. So when life gives you lemons, we just make a hell out of a lemonade and enjoy the sweet and squeal at the sour citrus taste yet inhale the fresh exciting citrusy scent at the same time. Now, doesn't that bring a whole new light of perspective into that whole lemons and lemonade philosophy? I am sure we all enjoy a little bit of lemonade once in a while. And we can never enjoy the rainbow without a little rain pouring in sometime, right?